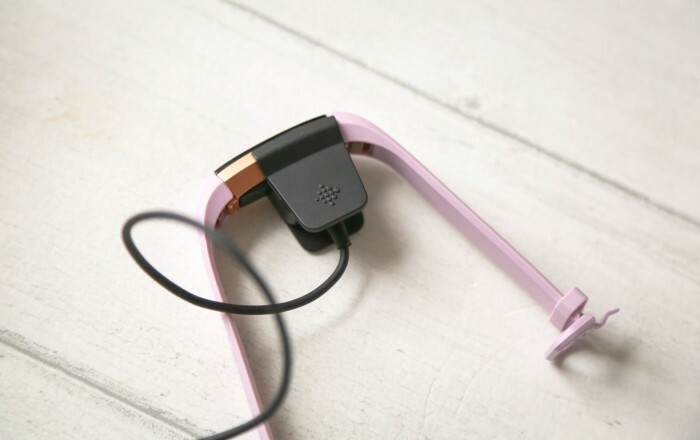 We’ve talked about a number of fitness trackers on xameliax before – The Bellabeat, The Polar Loop and older Fitbit versions with the Charge HR and Flex – all with their own individual features and different user experiences. Personally I’m a bit Fitbit convert and I’ve been wearing my old Charge HR every day for about three years – it’s served me well! 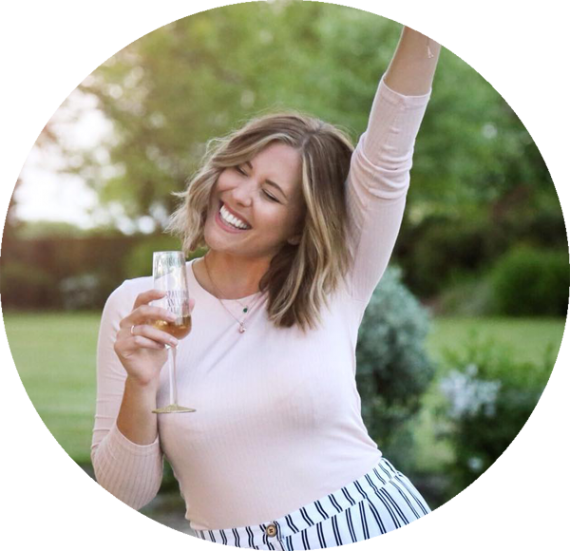 It did everything I needed it to do and helped me lose weight and get fitter over and over again, but it’s only downfall was the way it looked – It looks like a fitness tracker and is the ultimate outfit ruiner! 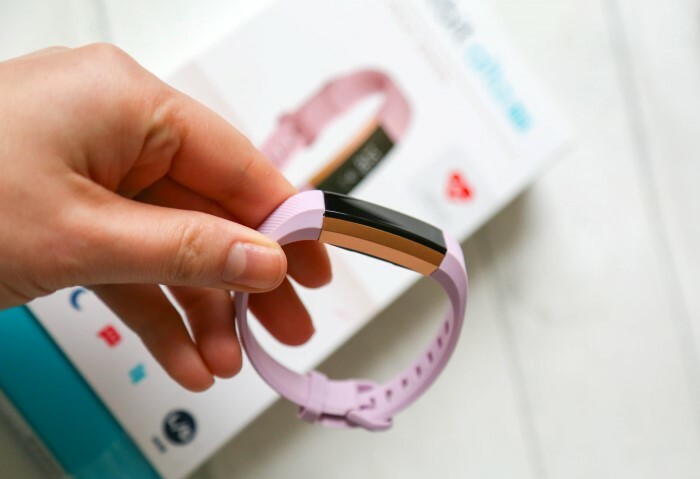 So when I saw the new Fitbit Alta HR I knew it was time for a change…especially when the Limited Edition version comes in Rose Gold! The Alta HR comes in silver with a black strap or a limited edition rose gold with a pretty pink strap – both of which can be changed to suit your outfit or mood which is a big selling point for me. It’s also a lot slimmer than my previous Charge and quite frankly looks really great on your wrist! 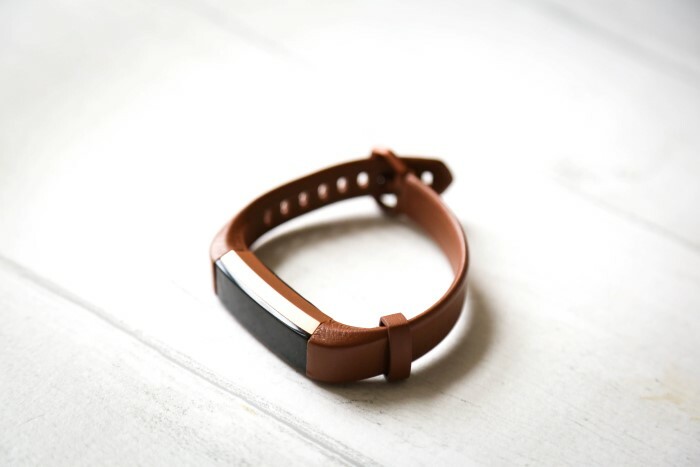 It comes in small or large depending on your wrist size, but this is simply the length of the strap and doesn’t effect the tracker itself – the strap I have on here is a small because my wrists are tiny, but I also have the large which also fits well so I wouldn’t worry too much over this when buying. Fitbit do so many strap colours and styles so the possibilities are endless and they all just tend to look like a smart watch or a pretty bracelet so that’s great for me. In the box you have everything you need to get started with your new Alta HR including the new look charger which clips onto the tracker and conducts through two pins on the back. Personally I find this a little trickier than the old Charge HR charger which plugged into the Charge and clipped into place – this one sometimes needs a little wiggling to make sure everything is lined up and connected so make sure you look out for the charging battery symbol on the clock face before walking away! The Alta HR charges pretty quickly and can realistically go around 5-6 days between charges depending on the features you enable and how much you ‘play’ with it! I tend to just leave mine on my wrist and only really check it for the time, or after a workout – all of which of course syncs right into your Fitbit app! 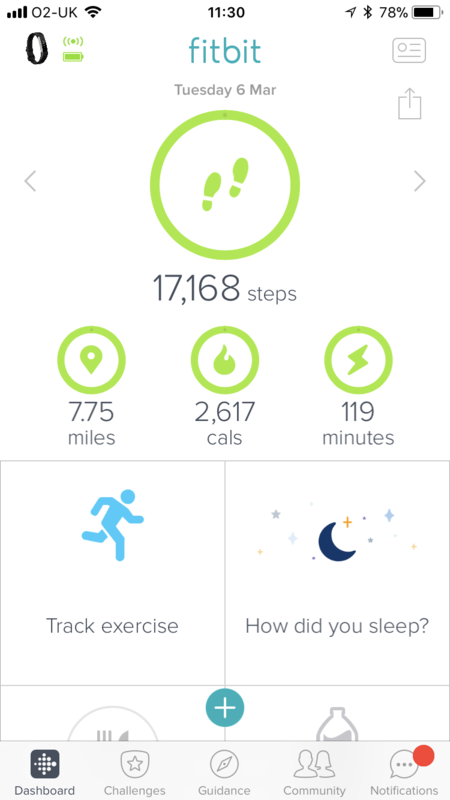 The Fitbit app is amazing. It tracks all the information from your Alta and is really easy to read and navigate through. You can monitor your steps, miles, active minutes, heart rate, how much sleep you’ve had, and with a bit of manual input from yourself also your calories, water intake and weight. 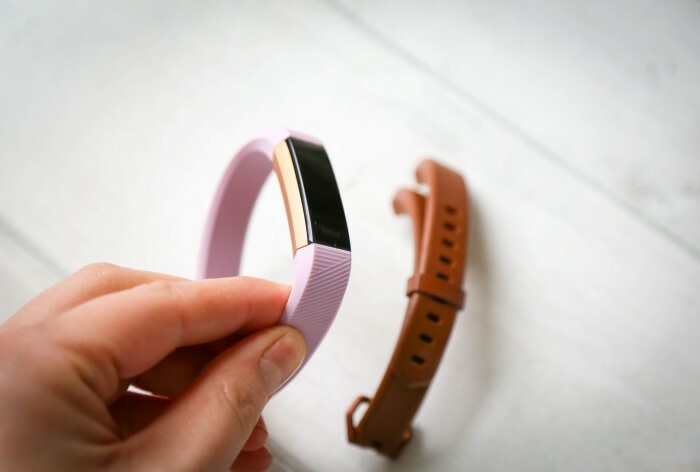 With the use of its Heart Rate monitor the Fitbit Alta HR is able to accurately track your workouts and break them down into peak zones, fat burn and cardio to show you how effective the exercise you’re doing is. You get a reading of your heart rate throughout the workout, how many calories burned and more – it’s amazing for really honing your workouts to get the most from them for you. 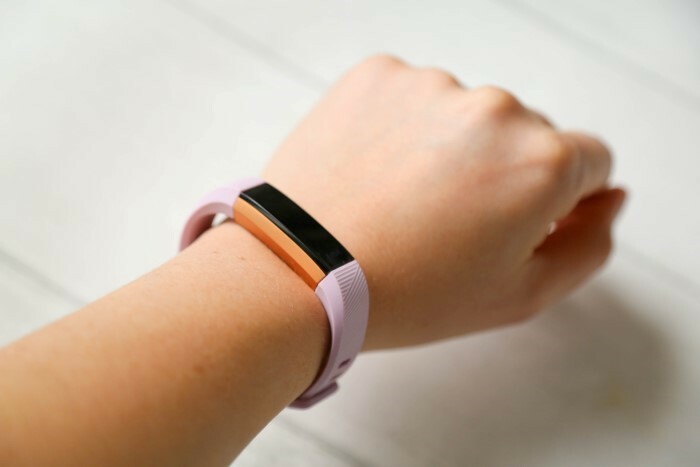 The Fitbit app can also be linked to other apps to help gather information such as MyFitnessPal to help you record your food and work out an accurate calorie deficit for the day based on your activity levels. I find it a fantastic way to help give me a guide as to what I can and can’t eat to help me achieve my goals. It really helps you stay aware of what you’re putting into your body vs how much you’re burning off! There are no buttons on the new Fitbit Alta HR, it logs your exercise automatically and is pretty darn accurate. It knows when I’m out walking the dog, when I’m on the cross trainer or jogging on the treadmill and gives you a detailed run down of your stats. I love the fact the Alta does this automatically as I’ve missed countless workouts with my old Charge HR when I forgot to press the button and start tracking. It’s not waterproof so no swimming but it is splash proof which means if you get caught in the rain you don’t need to worry and it’s incredibly comfortable and light to wear. 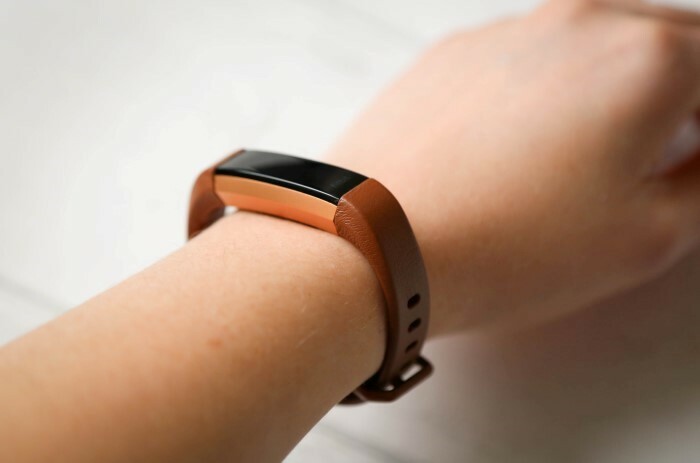 I also have the tan leather strap that I wear when I’m going out but still want to track my steps and I love it – it’s gorgeous with the rose gold. However I don’t tend wear this when working out as I fear with excessive use and sweaty workouts it will wear quite easily! Another thing to note about the straps is discolouration on the lighter colours. I’ve noticed that the lighter the straps, the more they pick up stains from rubbing on your clothes which are tricky to get off – this might be something to keep in mind when choosing your colour if you’re going to be wearing the Alta a lot. I bought a black strap which I tend to wear most of the time and then switch to my tan leather or back to the pink if I’m out and about! You can also get call and message alerts come through onto your watch which are handy to see who’s calling if your phone, like mine, is always at the bottom of your bag! And it gives you hourly alerts to remind you to move which are extremely helpful especially if you have a desk job or work from home like I do and find yourself at your computer for hours without a break…oops! 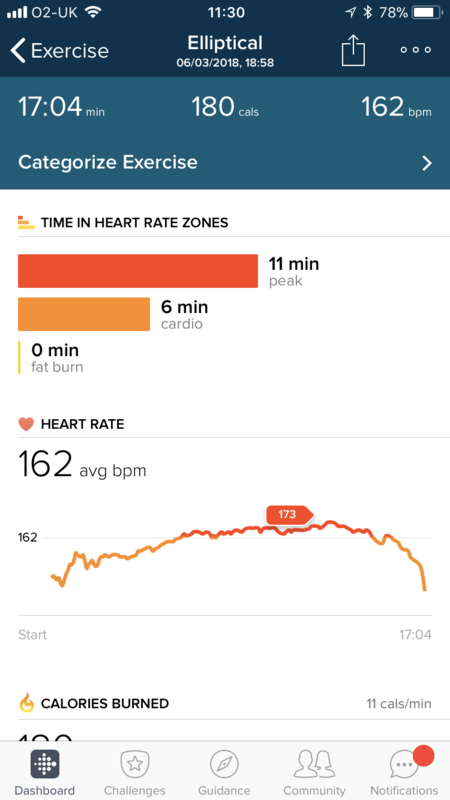 I can’t recommend the new Fitbit Alta HR enough. 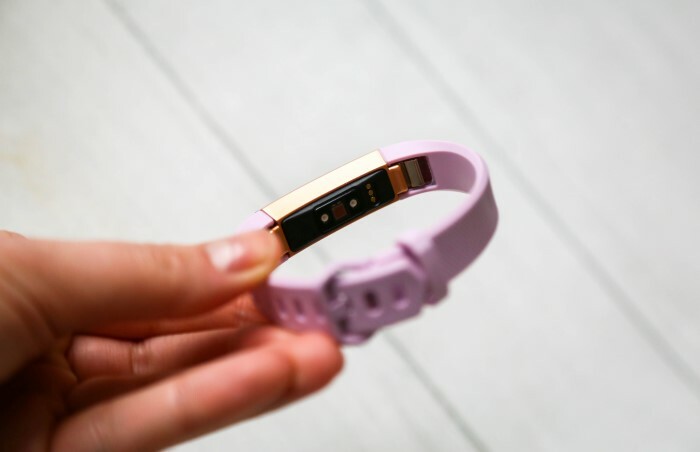 It does everything I want from a fitness tracker – accurate activity, sleep and calorie burn stats all whilst looking pretty cute on my wrist. Bravo Fitbit, you’ve done it again. Mine’s been on my wrist for the past two months and won’t be coming off any time soon – highly recommended! 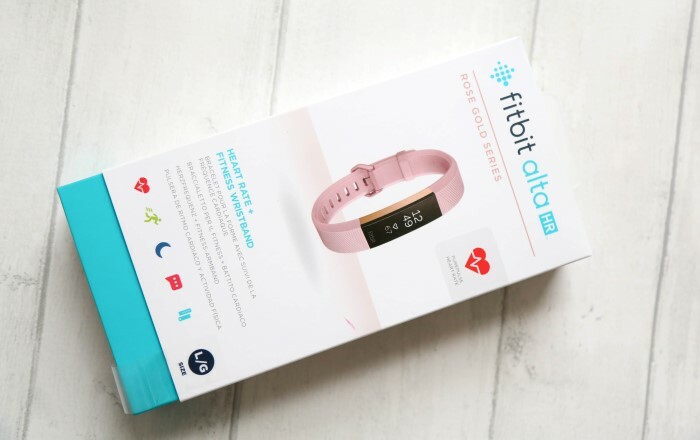 Grab yours now for just £129.99 on the Fitbit website HERE! 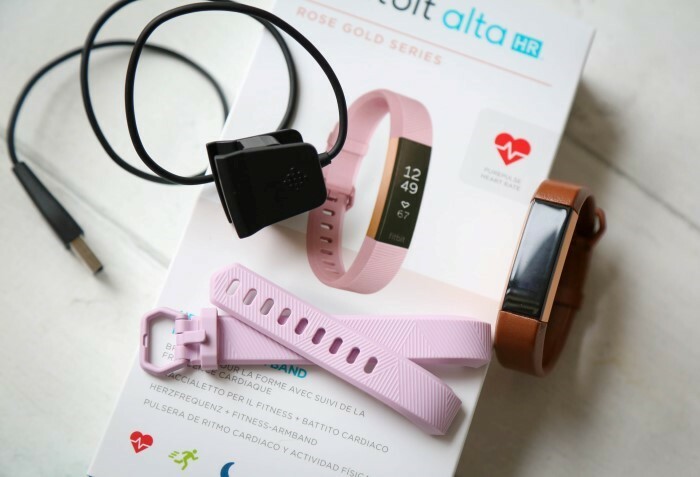 *Fitbit gifted me their new AltaHR to test out and give my honest opinion. I absolutely love it.